The internet is in an uproar about the concept of mayo ice cream. Look—let’s not be too hasty, here. Earlier this week, social media platforms got wind of the fact that a Scottish artisanal ice cream shop created a reportedly “controversial” flavor. The Ice Falkirk has previously toyed with unorthodox flavors, such as one infused with Monster Green Energy Drink. But last week, it outdid itself with the addition of an ice cream flavor with Hellman’s Real Mayonnaise. In an Instagram post, it showed us a gallon of the gooey stuff in production. “Who knows a mayo addict?” it coyly asked. 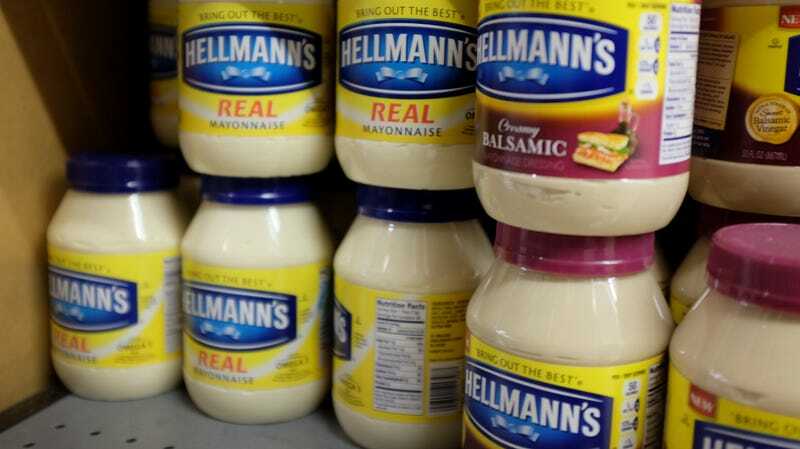 First off: While things that can be described as “mayonnaise” are bad, actual mayonnaise is good. It’s good in salads that shouldn’t be left out in the heat too long, it’s pretty good on ham sandwiches (though chutney is better), it’s excellent as part of a grilled cheese, and it’s best of all on tomato sandwiches. Secondly, “weird” or, as I’d prefer to put it, unexpected ice cream flavors are good. Tart things that should be sorbet but are instead ice cream (say, blackberry and lemon) are good. Somewhat savory flavors—caramel sea salt, anything with pretzels or potato chips—are good. Why not mayo ice cream? It could happen. I’m not saying buy a whole gallon of the stuff, sight unseen. I’m just saying it seems worth getting a little wooden sample spoon’s worth, enough to properly mull it over with all the facts at hand. Admittedly, it’s concerning that the basis of this particular recipe is the weaksauce Hellman’s, rather than the proper Duke’s. And it’s especially alarming that this ice cream shop has previously tried infusing its wares with Monster Green Energy Drink. Their judgment is admittedly suspect. Maybe it is bad! But then again, maybe it’s good! Who can say? Not you, until you’ve at least given it a tentative lick.